To create a well-being brand with a true difference. To create a well-being brand with a true difference. 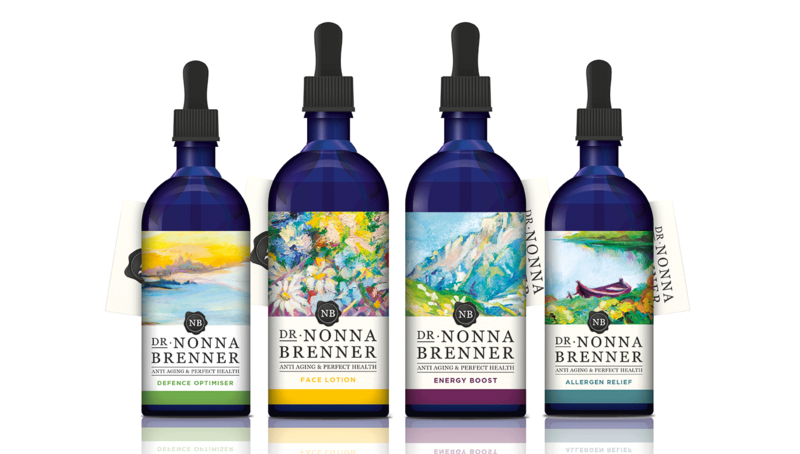 Dr. Nonna Brenner employs ancient oriental, esoteric and traditional therapies as well as modern scientific advances in medicine and physiotherapy, at her prestigious well-being centre located high in the Swiss Alps, where she provides bespoke approaches for health conscientious consumers. As as extension of her vision and philosophy, Dr Brenner wanted to provide ‘at home solutions’ that would enable her clients to continue enjoying the benefits received in the well-being centre long after their visit. She therefore created a unique range of health and well-being drops, and asked Identica to develop a new brand identity. Our vision was of a clear and distinctive look, that embraced nature and inner-well-being through the use of artworks that depict natural landscapes, creating a truly authentic feel to the brand. 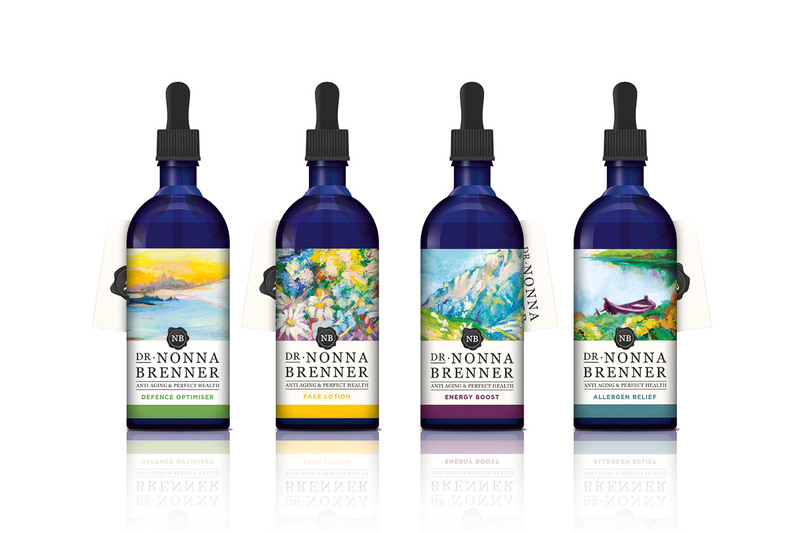 To emphasise and reflect the individual approach and care given to the products, we painstakingly crafted each label in great detail, each one being based on a series of original paintings commissioned by Identica for the project. A natural-pallet colour coding system was developed to help consumers navigate through range of products, and each label holds a brief story of well-being process and tells about the benefits of the drops themselves.